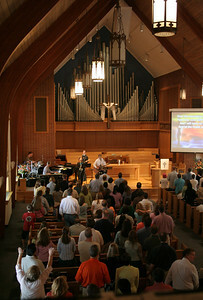 The worship team leads singing at a Mosaic contemporary service, 9/2006. 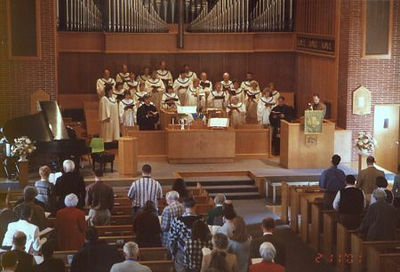 The choir leads the singing at the 10:00 traditional service. 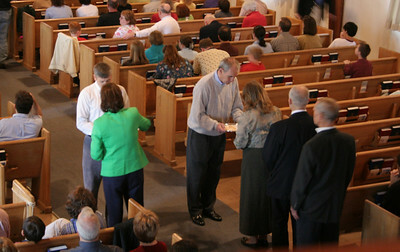 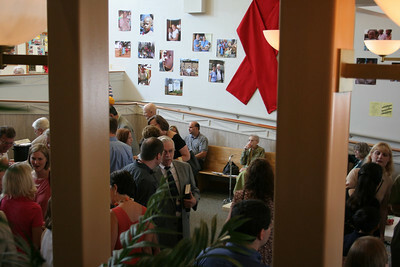 Elders distribute communion, photo taken 5/2005. 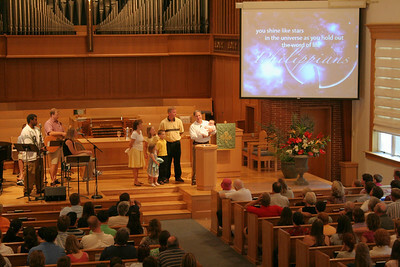 A baptism ceremony, taken 7/2006. 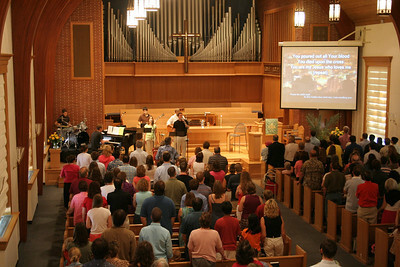 Worship and singing at a Mosaic contemporary service, taken 4/2006. 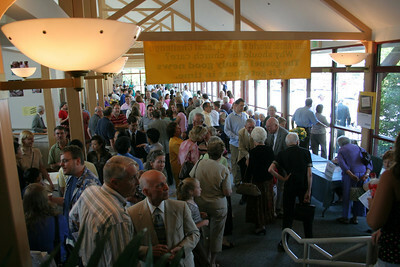 People mingling in the concourse between services. 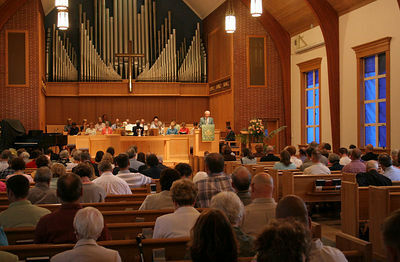 9/2006. 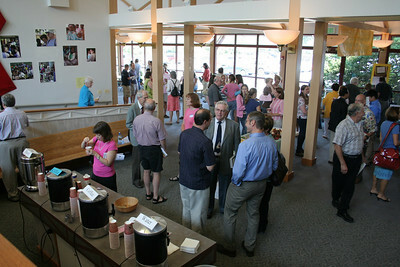 People getting coffee and tea and mingling in the concourse between services. 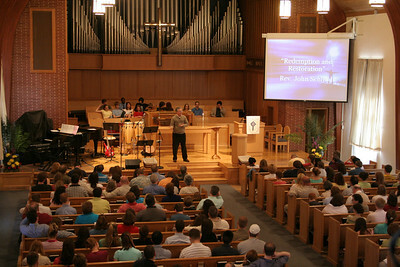 9/2006.